Hello people, hope all is well. 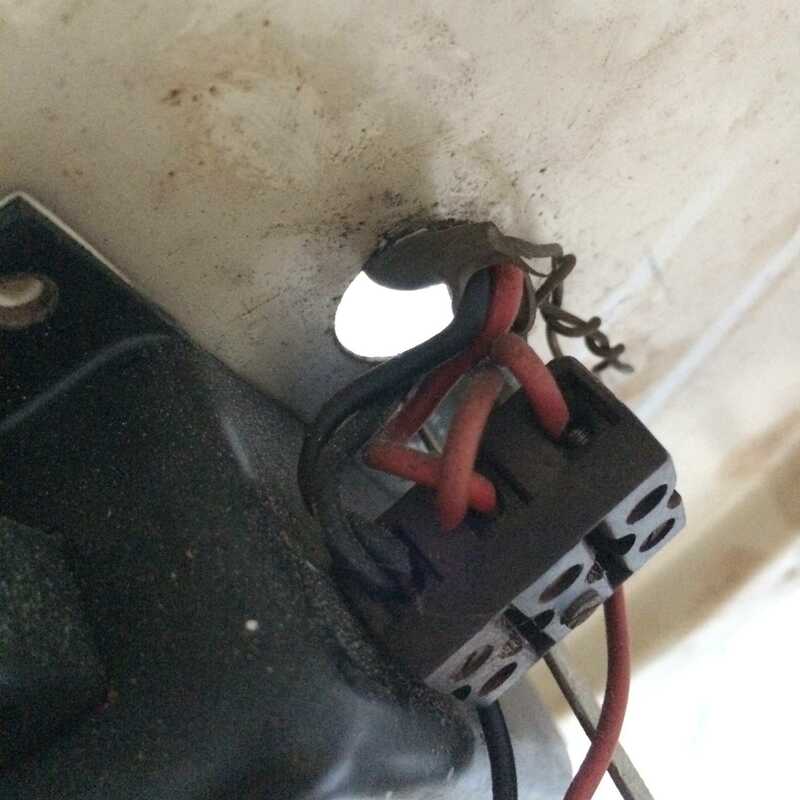 I have a quick question about a wiring set up I've come across. 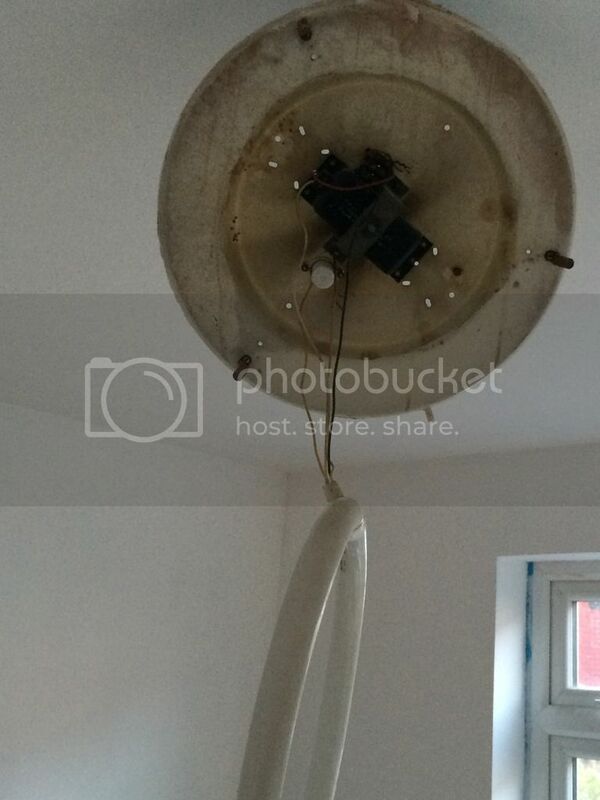 I just took off an old ceiling light that was circular fluorescent tube type fitting. I've found 3 wires, 2 x twin & Earth and 1x 2 core only, live and a earth. I plan on fitting a ceiling rose, can I just connect the live and neutral from the ceiling rose to the existing terminal rather than wire into the new ceiling rose. Finally, which is the switched live? Is it the live wire from the 2 core cable? There is no neutral on this cable. Nothing at all. The wires from the twin&earth terminate together, so the lives together and the neutrals together. The live from the two core is on its own. Yes this is how they were wired. 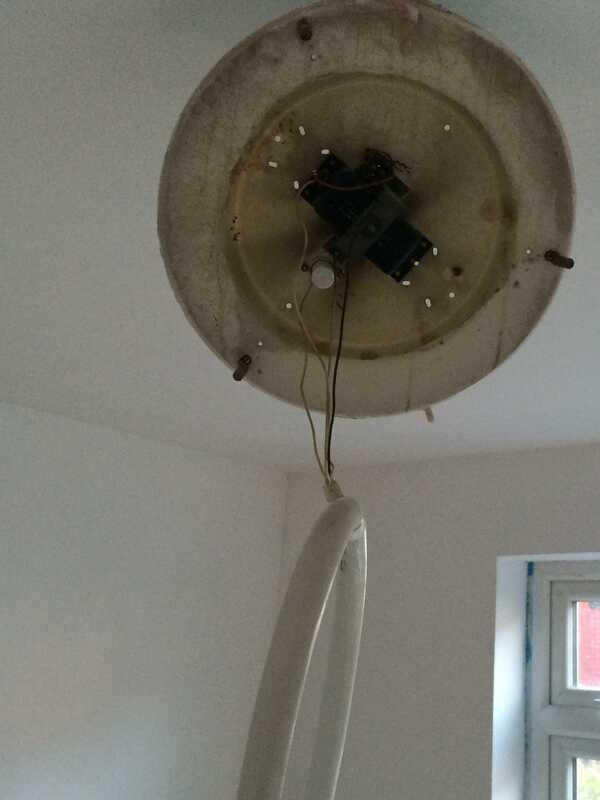 Yes you can connect just a ceiling rose, but what do you do with the remainder? 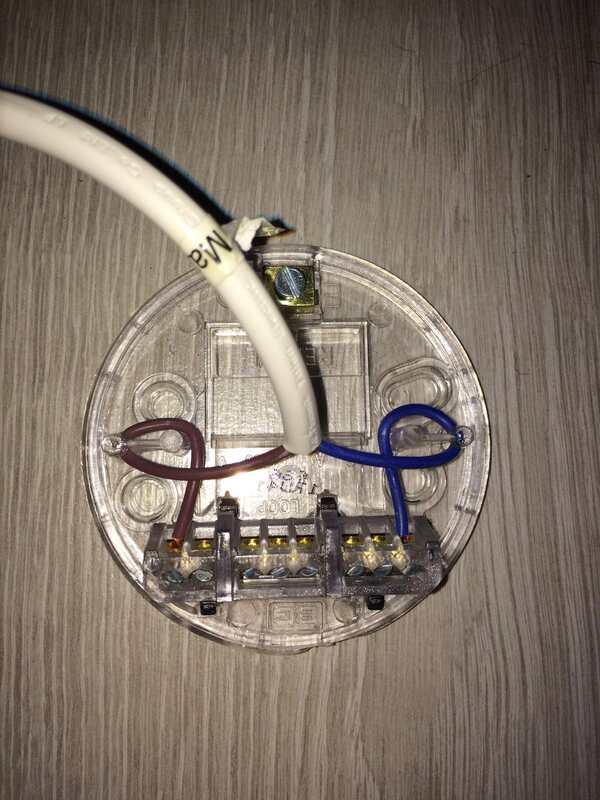 as its connector block you can't just poke it in the ceiling, and since you have a rose you may as well use it, and you will get a better earth connection than what you have now. The way it is normally wired is as big-all said, but it is not so in your case, as you have 5 wires (not counting earth) but its not a problem, keep things as they are, and your single red is the switched live. 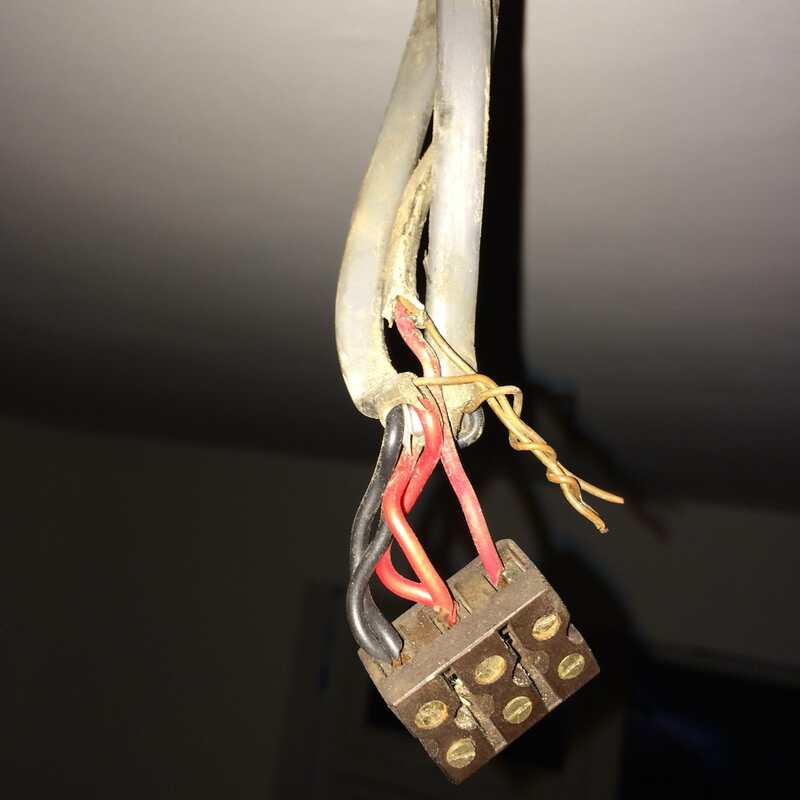 There was a live wire to what looks like the transformer and then a neutral went to a piece that connected to the circular lighting tube. But that would be "from" the choc bloc. You would still be better off using the rose. can a cable be tested for switch live if ends inaccessible? Servisol Super 10 Switch Cleaner and guitar amp Question?.